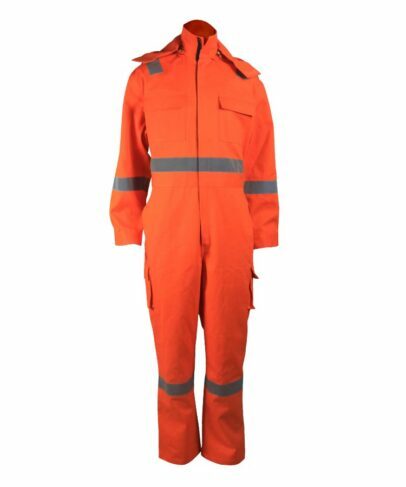 This hi-vis orange coveralls made of 275gsm 65% polyester 35% cotton hi-vis fabric, and can meet EN 20471, ANSI/ISEA 107-2015 and other standards. 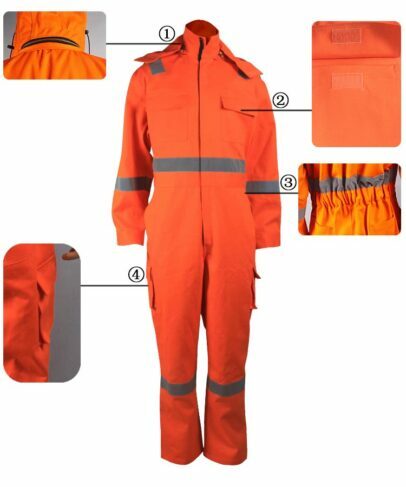 The hi-vis orange coveralls can make the wearer be identified more easier than the surrounding things in poor light and short distance, thus to ensure the safety of the wearer. 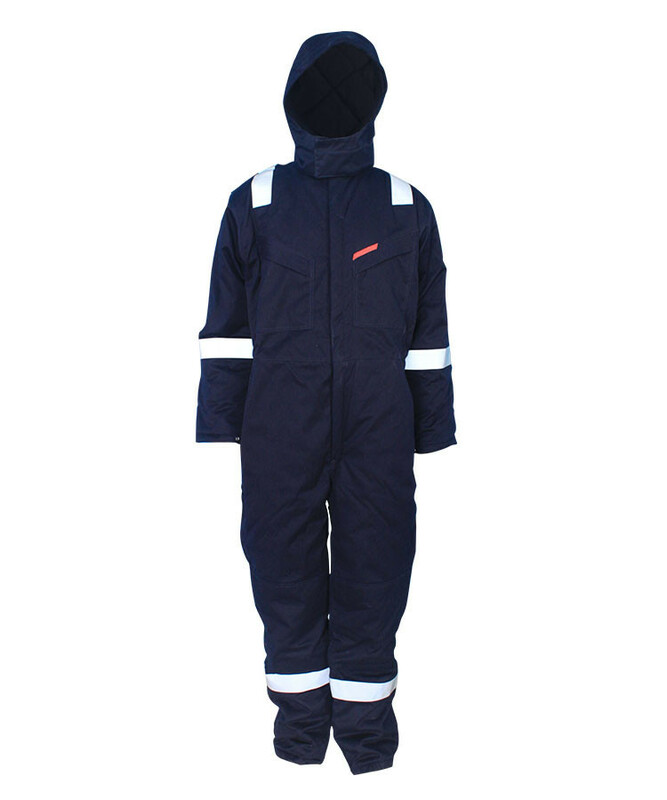 This hi-vis orange coveralls is highly breathable and that a comfortable temperature is maintained at all times. 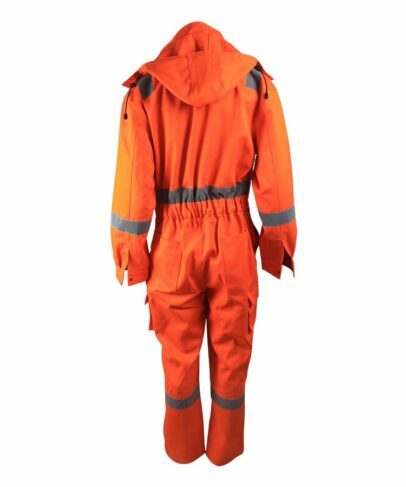 This hi-vis orange coveralls mostly used for policeman uniform, railway uniform, or produce offshore garment and oil gas. The cap is connected the back collar by zipper, that can take down freely. 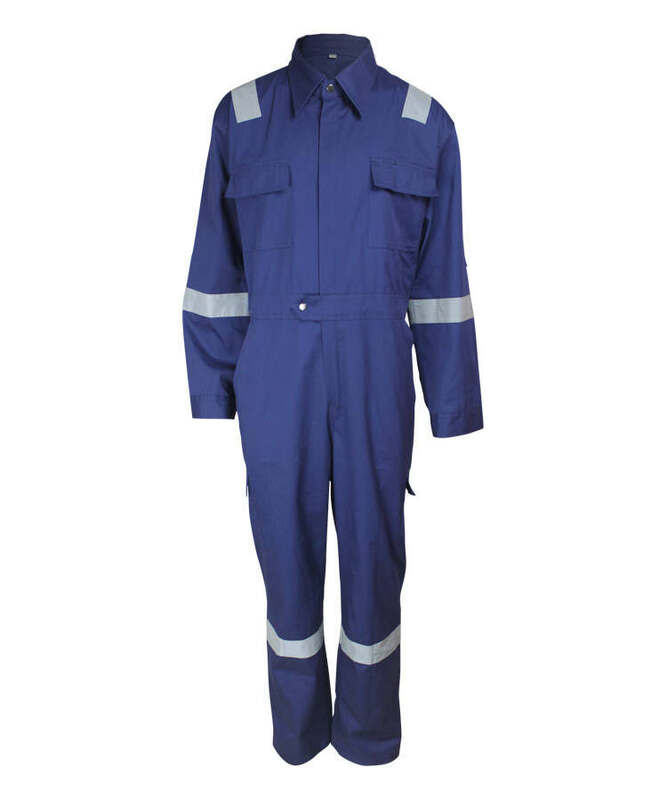 Two flap pockets on the chest, sewed by visible double sewing thread, and with velcro closure. The back of waist is with elastic that can adust the size of waist to suitable for more people in different sizes. 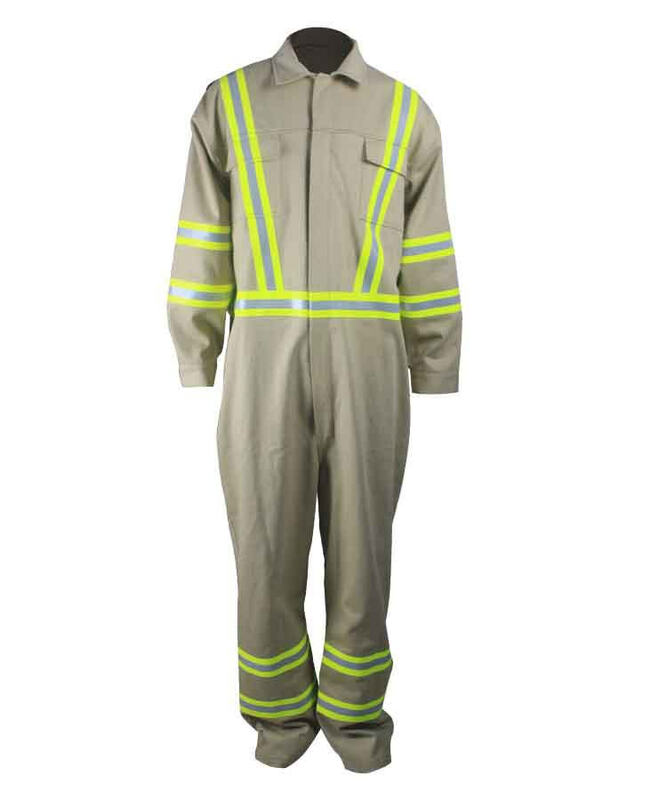 Two flap pockets on two sides of leg, with velcro closure. 5cm width reflective tape on the shoulder, waist, cuff and legs. The shoulder, arm hole, front rise and back rise are sewed by visible double sewing thread, can increase the fastness. Two slant pocket on the sides of trousers, hip pocket sew on with visible double sewing thread. Splicing sleeve, closure with snap button, which can adjust the cuff size as per the wearer’s requirements. 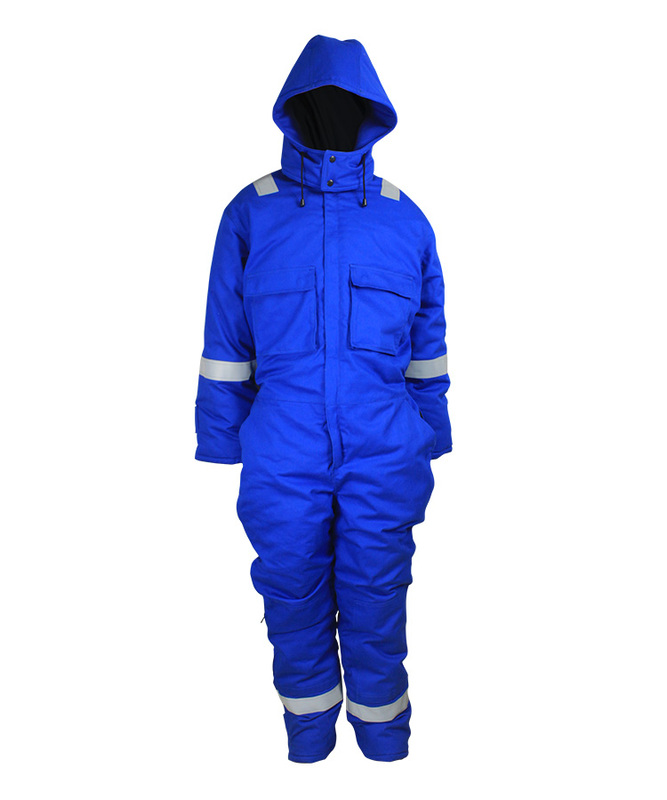 Front closure with brass zipper and velcro button, safety and warm. Elastic band and snap hook on the brim of cap, can adjust the size of cap. The cap month with velcro closure.